I want to know how far bund from Pudong airport and how to get there? It's about 42 kilometers. You can take maglev from the airport to Longyang Road and change subway line 2 and get off at East Nanjing Road Station. Then go out from Exit 7 and walk along East Nanjing Road to reach the Bund. It's the quickest way. About 5km and I guess one hour. Stop and start walking for about 2 hours. 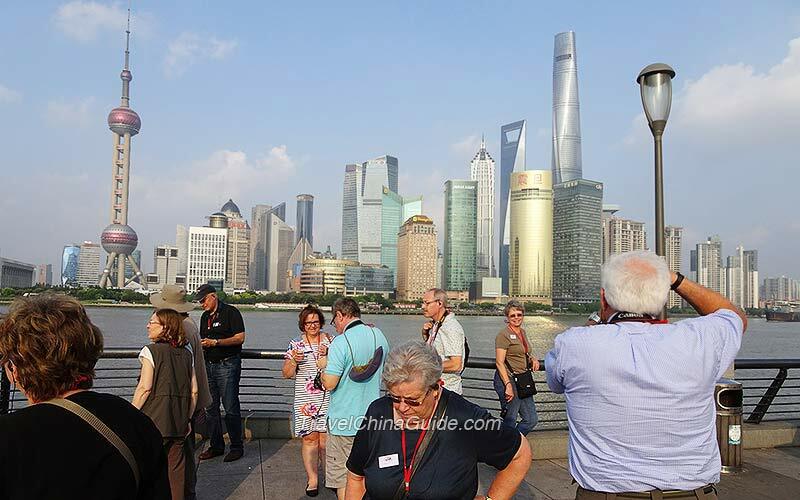 What is the tall building on the Bund as seen from the Pudong district where the Pearl Tower is. It is a modern skyscraper with a fan of leaves at the top making it look like a crown. It is the building of Shanghai Bund Center in Puxi. No worry. Attractions and shops won't be closed.